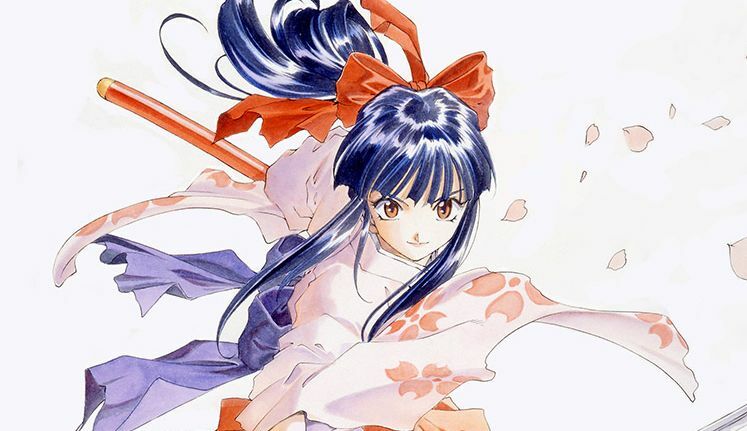 Today is April Fool’s day and if you keep up with everything video game related, then you’re most likely aware that developers and publishers alike love to mess with their fans by announcing stuff that sounds a little too good to be true. But, at the same time, we still get some announcements that are actually real, but still just has hysterical. 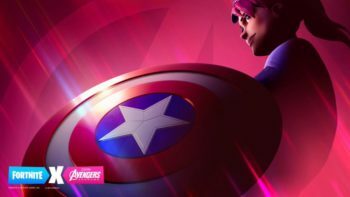 We put together a little list of some of the funniest April Fool’s announcements (some real and some fake) and compiled them into this article. Check out some of the reveals that had us chuckling and if you found some that we didn’t mention, then be sure to comment below and share them with us – we love to laugh too. Earlier today, on the official Sonic the Hedgehog Twitter account, the comedically inclined page tweeted a photo of fake Sonic game called Sonic Royale. Since Battle Royales are all the rage these days, Sonic Royale is meant to take the center stage next to Fortnite and Apex Legends. In the photo above you can see that Sonic Royale covers all of the bases when it comes to genre. I mean, I never really played an action PVP MMO survival ARPG FPS dating sim before, but it sounds like a lot of fun! Sega thinks that 100-player battles are way too small, so Sonic Royale will have 1000 player battles and will be free to play. 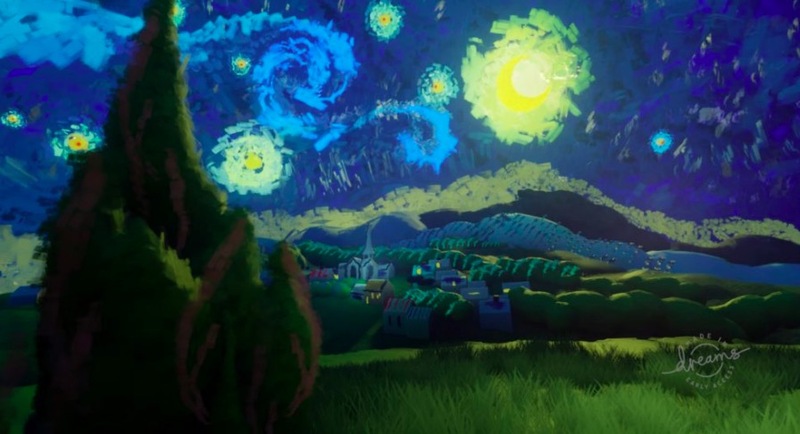 The game will also be a VR game with over 4 million characters, tons of customization options, and even in-game cooking lessons. 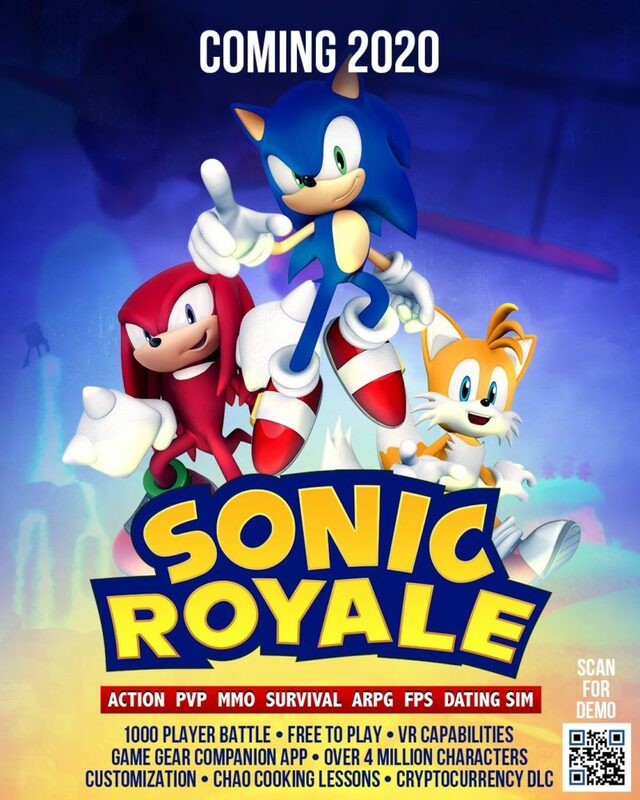 Sonic Royale is obviously game of the year material but I guess we have to wait until we get our hands on this one. Yes, it’s true. 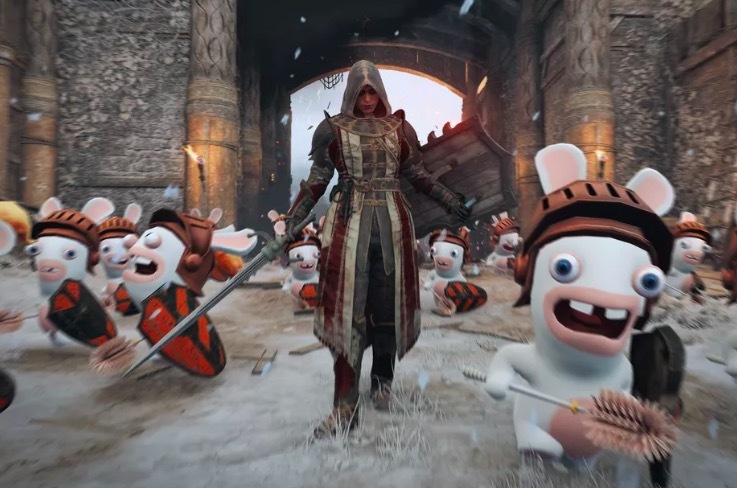 For only 24 hours, Ubisoft has added the raving Rabbids into the historical action game, For Honor, in honor of April Fools 2019. 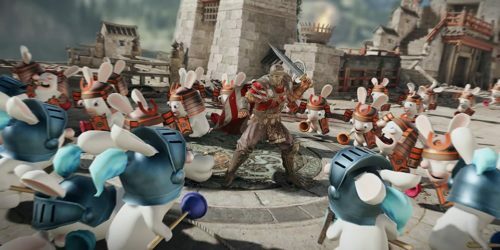 Players who jump into For Honor during the event will be rewarded with an in-game melee pack and probably tons of screaming Rabbids since they tend to do that a lot. As you can see in the image below, the Rabbids are all equipped with a shield and what looks to be a toilet brush. I don’t know about you guys but those things can cause some serious damage if you… like… get poked in the eye with it or something. 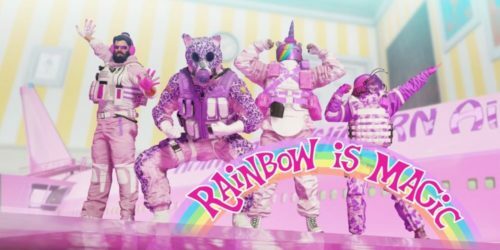 For Honor wasn’t the only Ubisoft game that received an April Fool’s themed update, as Rainbow Six Siege also got an event to celebrate the festivities – a colorful rainbow-themed one. The Rainbow Six Siege: Rainbow is Magic event is no April Fools’ joke as this colorful event is anything but a lie. 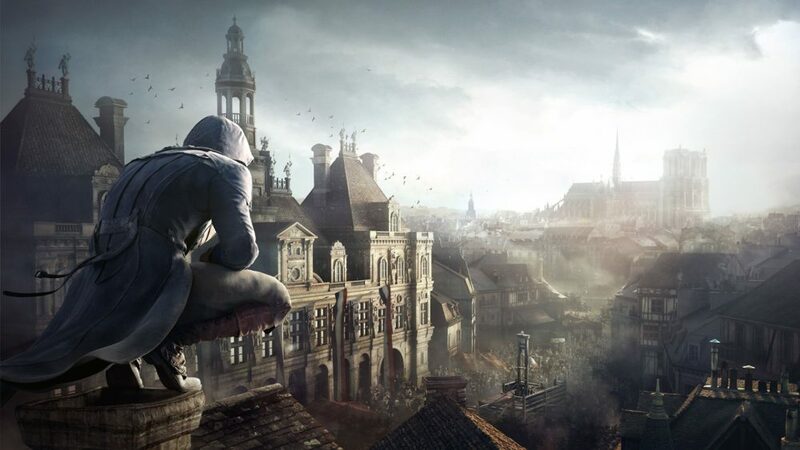 Running for an entire week (until Apr 8), the tactical first-person shooter will be host to an event that brings with it, a very critical and important mission that can’t be missed. The mission is an intense hostage situation that has you successfully rescuing a VIP teddy bear from a toy plane. The event introduces players to 17 exclusive customization items that include but are not limited to: toys, magical creatures, and just overall cuteness that can be earned by logging in and completing challenges. In honor of April Fool’s Day, Square Enix has uploaded a funny little video onto their Final Fantasy XIV YouTube channel that gives us a side of Omega that we’ve never seen before. The video starts off with a father getting a package in the mail, something very special. He opens the package to find that it is a smart home assistant called Omega. Similar to Alexa, Omega can (kinda) answer your questions that you may have but in an appropriately evil way fitting of a savage raid boss and classic FF enemy. Omega can even play “romantic” music, which to him, is an anime rock song. He doesn’t really help out the family in the video above, but you can see for yourself just how useful Omega really is. One of my favorite April Fool’s joke to come out of this day is the fake Nintendo Direct for April that was created by IGN. Since Switch fans say that all of the time that they want everything to come to Switch, IGN really plays around with this idea with a Nintendo Direct all about bringing everything to Switch… even the bad stuff. If you watch the video above, it starts off with “Nintendo” announcing that every Zelda game will be coming to the Switch, even the terrible CD-i games that people like to forget about. 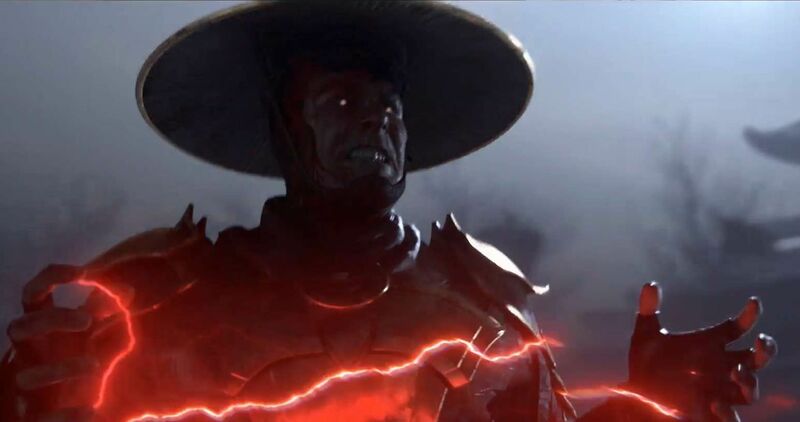 Then, the presenter beings to snap his fingers a bit too much, revealing a whole bunch of fake games and ports that are also coming. I found myself laughing quite a bit on this practical joke! Remedy, the developer behind the upcoming third-person action game, Control, also seems to be having a bit of fun on the day of fools. The trailer that they released features a track that makes us all feel like we’re on a Caribbean vacation instead of inside a creepy supernatural agency. 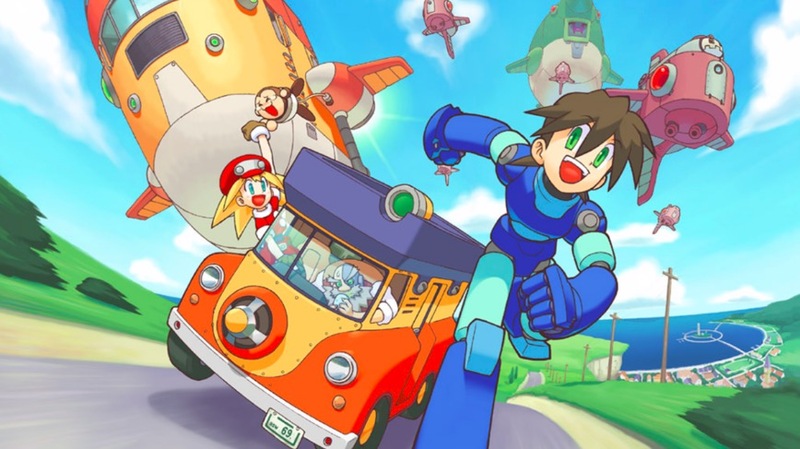 We see the main character, Jesse, fighting the bad guys like normal, but instead, everything is technicolor and adds a bit of child-like fun to the game. This is obviously a joke and the game will not be shipping with this mode, but after watching this, I hope Remedy makes this feature a real option for players. Be very aware that these Mass Effect body pillowcases are legit and they are a real thing that you can now purchase for $29.99 right now. 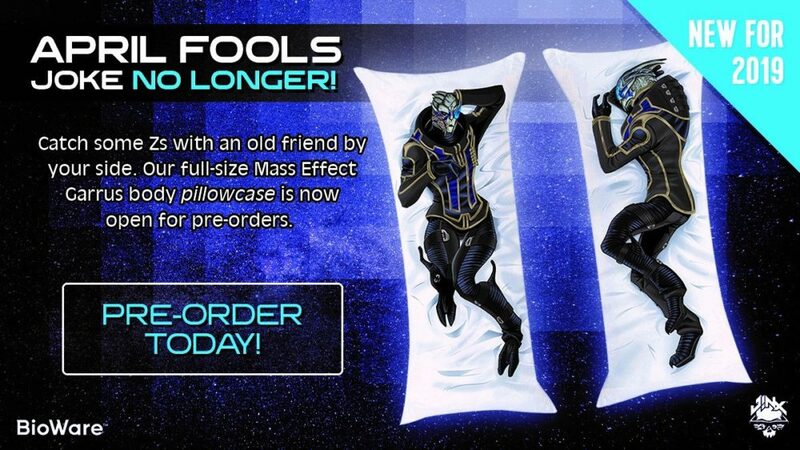 The website, Jinx, is selling Mass Effect Garrus Vakarian Body Pillowcases, yes just pillowcases and not an actual pillow. The product is officially licensed by Mass Effect and is apparently super comfortable. If you’re alone this April Fool’s day, then be sure to grab one of these so that you can cuddle up right next to Garrus Vakarian –we’re sure that he will keep you safe all through the night.